When Yellowstone turns into a winter wonderland, you'll want a trusted local guide to help you discover the best of the park in the snowy season! 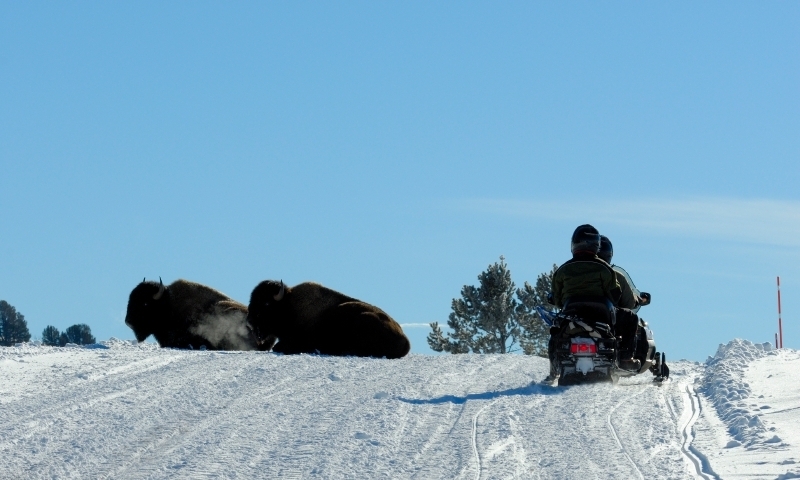 Snowmobiling is a great way to see Yellowstone National Park in the winter, especially with today's clean, quiet snowmobiles! With plenty of powder, the Yellowstone area boasts some of the finest skiing in America, including Big Sky Resort and Jackson Hole Mountain Resort. Get into the backcountry and experience the pristine, peaceful side of Yellowstone in winter. 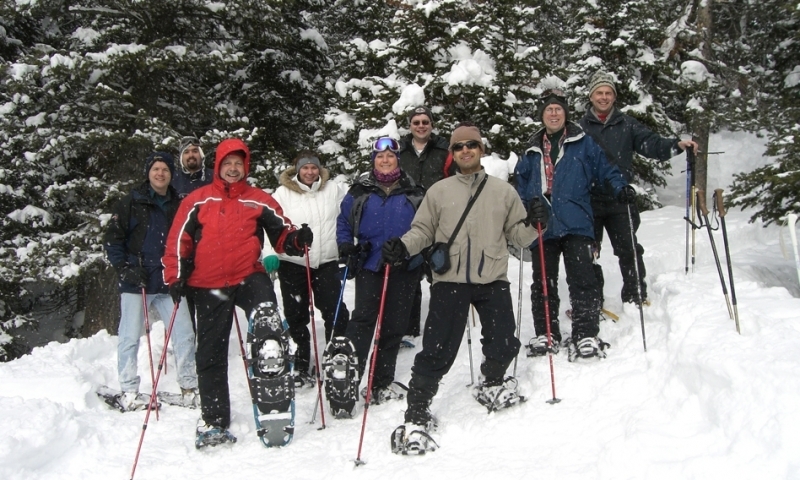 Snowshoe tours provide the perfect place and pace. 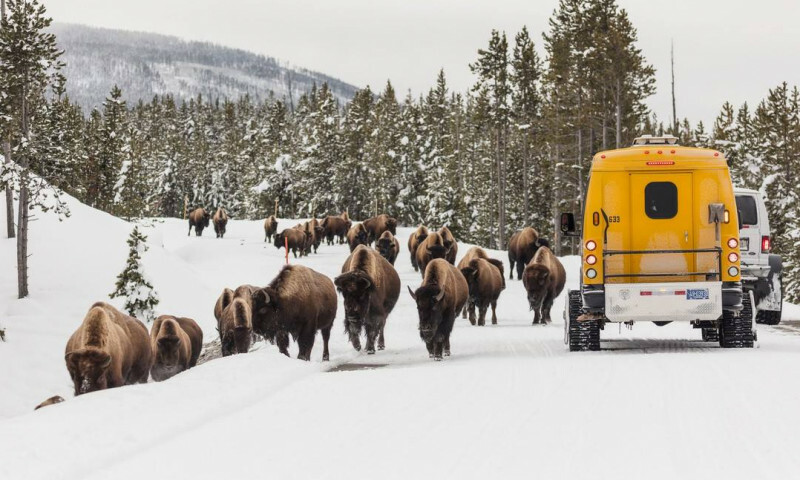 You'll be amazed by how many activities, like snowmobiling, snow coach rides, cross-country skiing and snowshoeing, are enjoyed in Yellowstone during the chilly but unbeatably scenic winter months. Snowmobiling is only allowed within the park if you are on a guided tour. It's a great way to see the park's unique scenery covered in a blanket of snow. If you are looking for a little more adventure and speed, check out the many trails and meadows outside of the park in West Yellowstone. 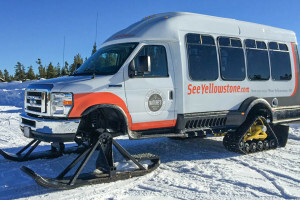 Ski rentals are available at Mammoth Hot Springs, Old Faithful and in gateway towns of Gardiner and West Yellowstone. Groomed ski trails offer a peaceful way to explore the park in the winter. Rent a pair of snowshoes and head out on a few designated snowshoe trails or any of the cross country ski trails. Ranger led snowshoe walks are also available daily in the winter. Ranger-led programs are offered at Old Faithful and Mammoth Hot Springs during the winter months. Join the popular Snowshoe Hike with a Ranger. A handful of nearby ski resorts welcome winter visitors every year. 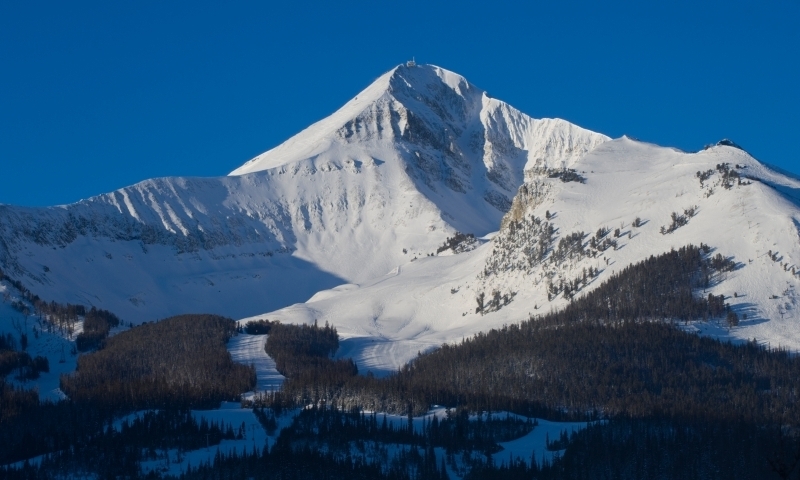 Try Big Sky Resort just north of West Yellowstone or Bridger Bowl in Bozeman. Or head south to Jackson Hole Mountain Resort and Grand Targhee. The best in winter wildlife viewing might include moose, elk, bald and golden eagles, bighorn sheep, bison, wolves, coyotes, trumpeter swans, and mule deer. The pristine winter wonderland provides a unique backdrop to all of these animals. While dog sledding isn't available within the park, there are a number of nearby operators that offer tours. 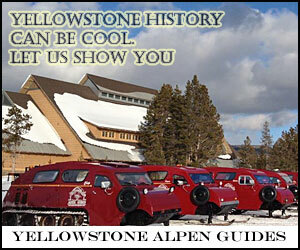 West Yellowstone, Montana is home to many Yellowstone snowmobile rental and tours operators. Experience ice climbing oriented programs through Women's Wilderness Institute.